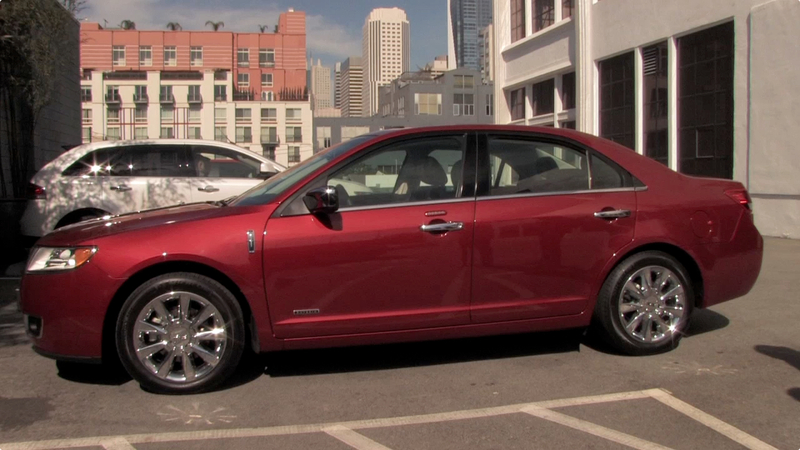 While we’ve driven a lot of prototype cars for GigaOM TV’s Green Overdrive show (Fiat Panda, Think City, we’re looking at you), the Lincoln MKZ hybrid 2011 was about the most luxury so-called green car that we’ve driven to date. The smooth ride has sound dampening tech in the windows and interiors, and costs $35,180, the same as the non-hybrid version of the car. The similar price probably stems from the fact that because the hybrid tech and nickel metal hydride battery aren’t all that powerful, delivering 41 mpg fuel economy in the city, and a range of 700 miles with a tank of gas. If the battery were a whole lot bigger, it’d be a whole lot more expensive.